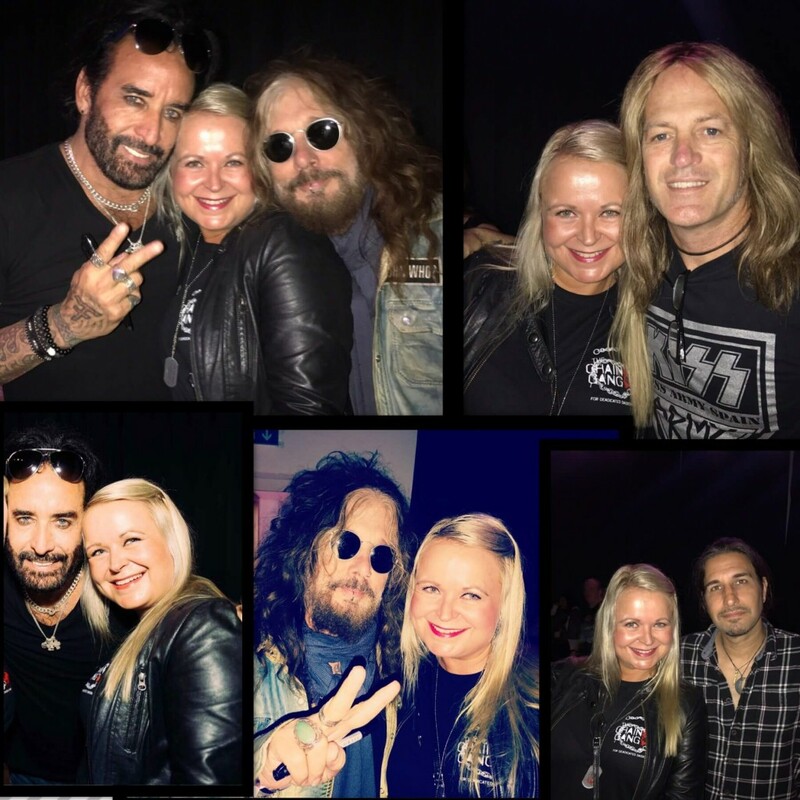 I had already fallen in love with The Dead Daisies before I saw them and met them in Helsinki and also on the KISS Kruise VI. But this funny little trip grew the feelings even stronger. So.. I really needed to see my new love, and they were not coming to Scandinavia this time so me and my friend picked a festival outside Frankfurt to go and see the band. By the time it was time to go, my friend cancelled and I went on this little adventure by myself. I made it to Frankfurt, had a nice time exploring the city and finally it was the day of the festival. I had no idea how to get there but the festival people told me it was easily accessed by train and a short taxi ride. It was raining all day but it didn’t lower my spirits. I took the train as advised and got off on the right stop only to find out there was nothing on the train station – no people, no cars.. definitely no taxis and raining constantly. “What now” I thought… I was expecting a lot of people going to the festival… but no one to be seen.. Then I spotted a young girl looking a bit lost like me and she looked like she could be going where I was going. 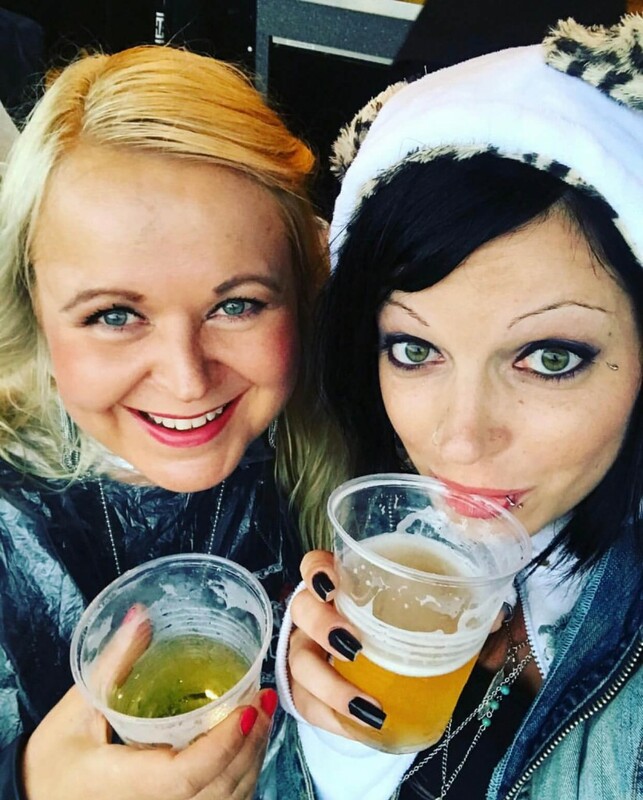 I approached her and she in fact was going there for The Dead Daisies and had come all the way from Switzerland! What are the odds, two people at this deserted train station, coming from other countries and both going to see the band we love! Well, she had been smarter and knew better and had preordered a cab. 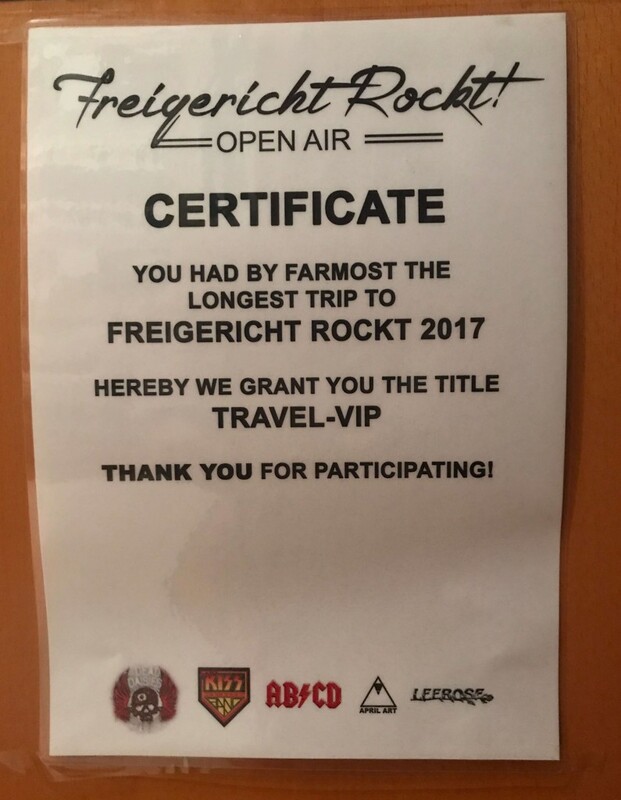 So we shared the ride and finally made it to the Freigericht Rockt Festival! What a lifesaver she was! It rained throughout the whole festival, but we had an awesome time anyway! I finally got to meet many Chain Gang members at the meet and greet, I got the certificate to have had the longest trip to get there (thanks Heike & co.), we got to watch the show from the side of the stage safe from the rain and the show was awesome!! Despite the pouring rain the band was on fire! The only downside was that David Lowy wasn’t there due to family reasons. Finally the band saved us both “lost girls” from there and gave us a ride back to the city. Otherwise we would probably still be there looking for a taxi… In the end, this little adventure was totally worth the trip. 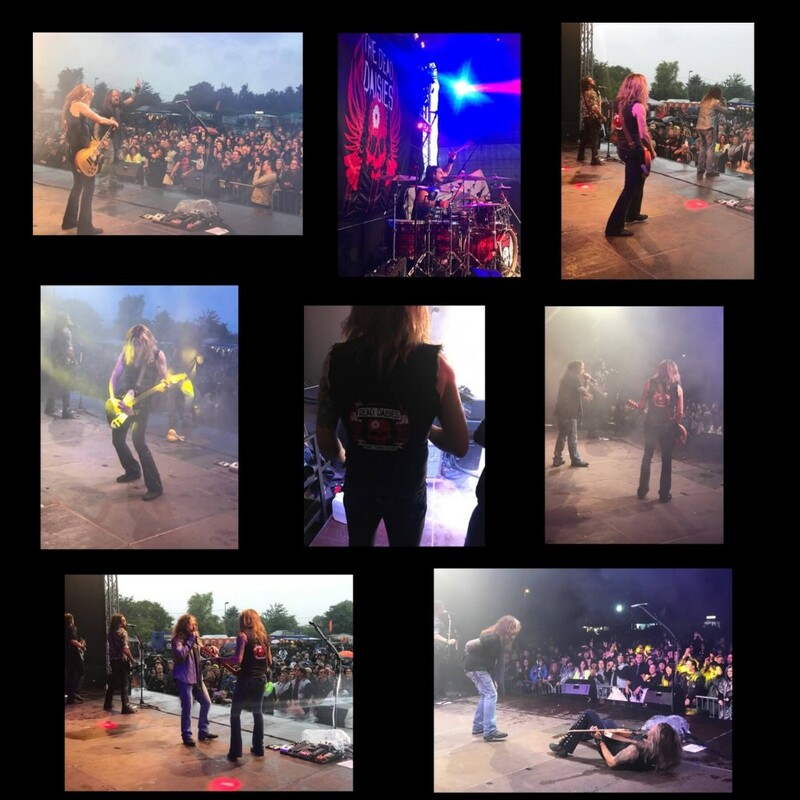 Thank you The Dead Daisies! And thank you Melanie, I made a new dear friend too! And, the love for the band grew again a little deeper.